Here’s an interesting article from our newest member, Fedra Antoniadou, currently studying physics at the University of Edinburgh. Fedra talks about how there really is an appetite for astronomy in our children. On 28 March, I took part in “Science After Dark” outdoor, a public outreach science event mainly aimed at children, as a member of the Physics Outreach Team of the University of Edinburgh. 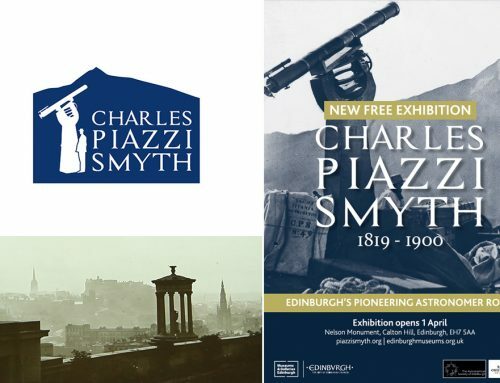 The goal of the event was to describe the constellations in the sky by means of games and Greek mythology story-telling, as well as to invite them to look at the sky through the telescopes kindly lent to us by the Astronomical Society of Edinburgh. Although both activities were fairly simple, turn-out was excellent and enthusiasm filled up the atmosphere. The mere sight of telescopes instantly sparked interest and got everyone asking if they could just look through even before it got dark. The constellation game simply involved finding “hidden” fluorescent posters of constellations visible in March around the playground, which people were supposed to spot using UV flashlights. What I found most remarkable was how quickly participating children turned this into a more exciting activity by creating their own version of it – similar to a treasure hunt – simply through their energy and enthusiasm. The game drove them to want to learn what the constellations’ stories were and so afterwards, while narrating the myths behind them, I was thrilled to see a crowd of puzzled faces paying close attention to my words. After that, I attempted to give them an idea of how big our universe is by explaining distances to other star systems in light years and the high probability of “aliens” actually existing, which was the topic that provoked some of the most puzzled and amusing reactions, as well as multiple questions. By the time this activity was over, it was clear that everyone’s eagerness to look through the telescopes had peaked. By the time we managed to locate some targets, everyone – parents and children – was queuing up to get a glimpse. Some of the most challenging aspects of this activity were the cold weather (as always) and keeping the telescopes still as people took turns in looking through the eyepiece. However, in the end we had numerous people asking questions about astronomy, telescopes and observing in general. This was our greatest achievement and the most rewarding feeling on that night, as we knew we had made an impact, no matter its magnitude. By teaching the audience some facts in an interactive manner, we initiated a chain reaction of questions. And speculation is really how great science and scientists flourish.